An unabridged audio of a creative writing classic, with added insights from the author. Experience a modern classic on writing as you've never heard it before. 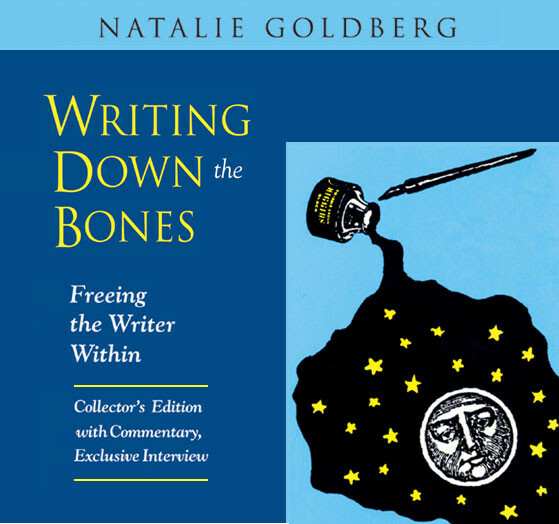 With nearly one million copies of Writing Down the Bones in print, Natalie Goldberg has helped change the way writing is practiced in homes, schools, and workshops across America. Through her heartfelt personal reflections and her ingenious Zen-based exercises, Goldberg makes writing available to you as a tool for personal expression, self-exploration, and healing. In this enhanced reading of her seminal work, Goldberg offers new commentary about the creative, spiritual, and practical dimensions of writing. Join her as she looks back on her life, sharing the story of how her meditation studies with Zen master Katagiri Roshi inspired her to develop practices for "writing down the bones": the essential, awakened speech of the mind. Here is a treasury of tested ideas, suggestions, and exercises that help new writers get started, and seasoned writers keep going. Includes an exclusive interview with the author available nowhere else.